Barry S. Franklin & Associates, P.A. S. G. Morrow & Associates P.A. Fleurantin, Francois & Antonin, P.A. Law Offices of Steven E. Blumenthal, P.A. Law Offices of Rhonda F. Gelfman, P.A. Brawer Hirsch & Associates P.A. Criminal Defense: White-Collar, Criminal Defense: General Practice, Criminal Appeals, Criminal Investigations, Criminal Law, Criminal Law Process... See More. 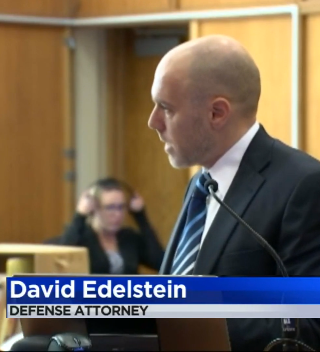 David Edelstein began his career representing clients in at the Miami-Dade County Public Defender's Office in 1997 after interning with the office while he was... Read More. Acosta & Lichter, P.A., P.A. Young, Berman, Karpf & Gonzalez, P.A.